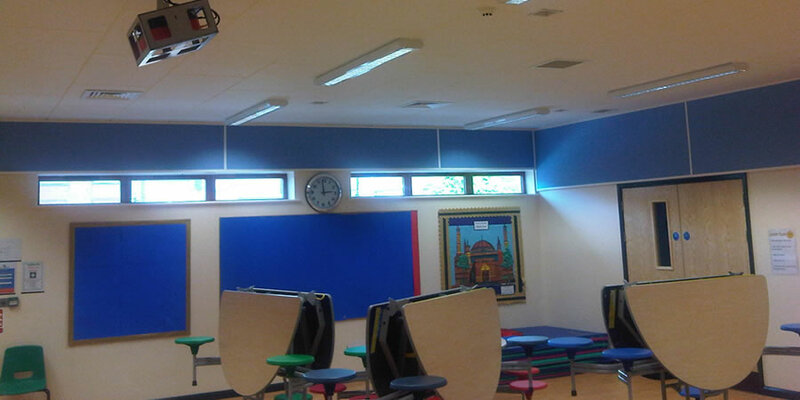 We carried out a free Reverberation Time Calculation to determine how much absorption was required to bring the time down to this level. 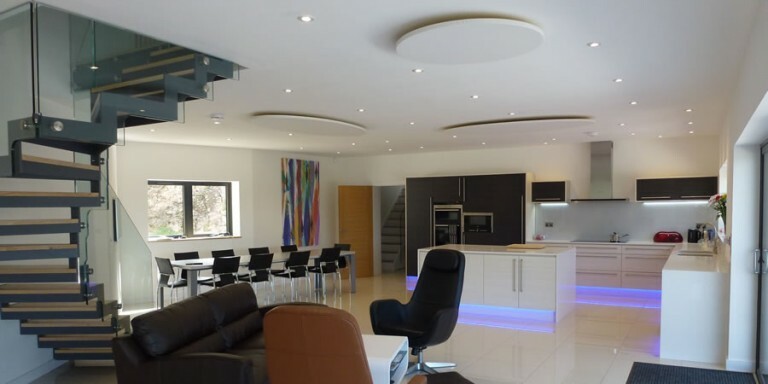 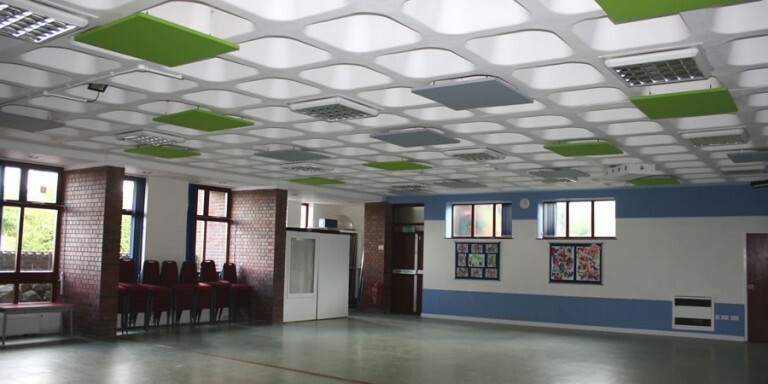 The Echosorba tiles could be directly adhered to the ceiling, and the Tee Joint system for the Wallsorba panels, meant that the panels could be cut to size on site to fit various existing fittings, such as windows, and sloping ceilings. 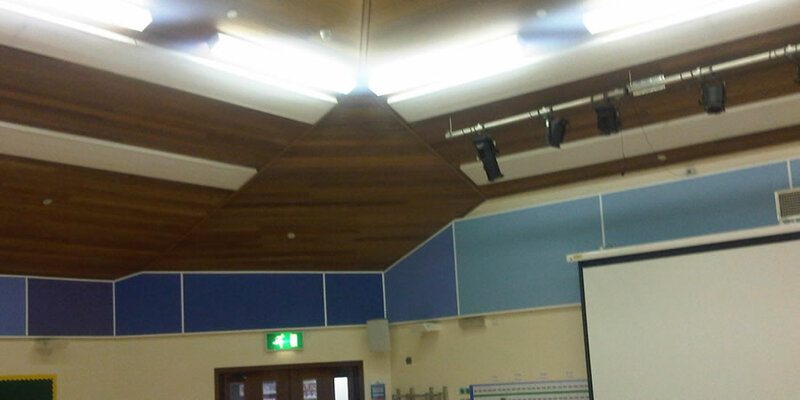 This made for a stress free installation. 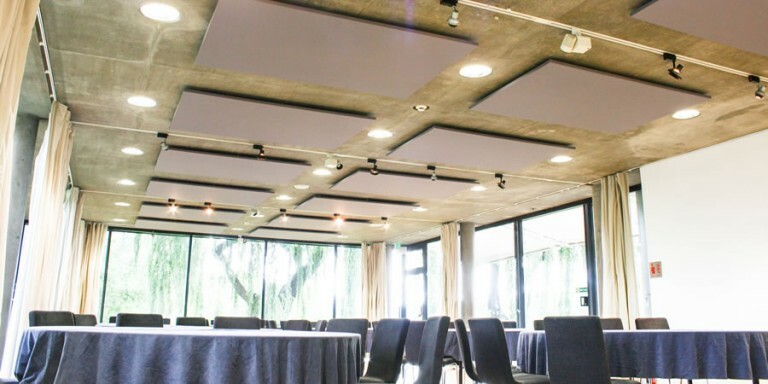 The acoustic panels were delivered in 5 working days ready for installation. 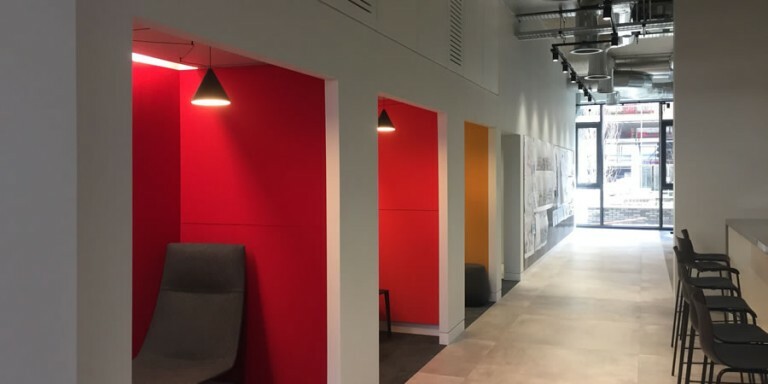 The Wallsorba Type A panels were used to create a visually appealing appearance, using different sizes and different shades of blue from our range of 72 colours. 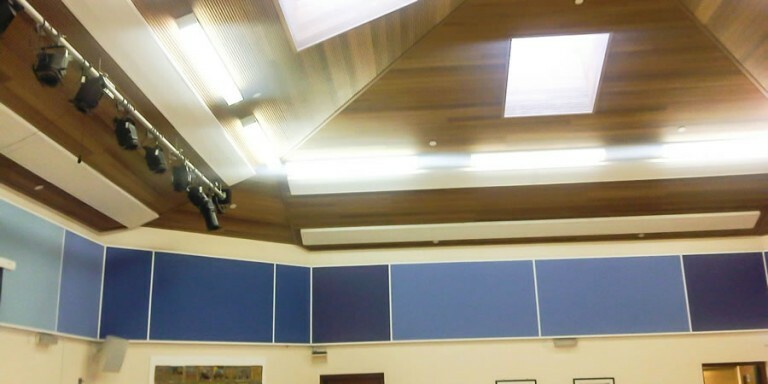 Overall the school were very happy with the effect our Acoustic panels had on the sound in their rooms.